“Surveys” aren’t really surveys. They are videos. Questofday.com was brought to my attention by a visitor on this website. They weren’t sure of this sites legality so they asked me to look into it. Upon first inspection, I knew I had come across this website before. In fact, I have come across several of these sites in fact. So, is QuestofDay.com a scam? Let’s find out! You wonder how I make money? You wonder how I make money? My last paycheck was 1013.00 USD. 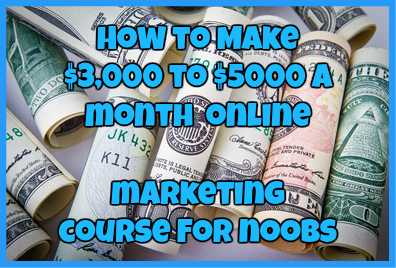 Click here to see proof and a detailed way on how to make money for noobies, even if you don’t have any computer experience. Quest of Day is a website that is specifically designed to “help you make money online taking surveys.” This website makes the bold claim that you can make at least $14 for every survey that you complete, up to $150 for referring as many as 10 people, and earn at least $1,500 a week. As great as this may sound, I wouldn’t fall for it. 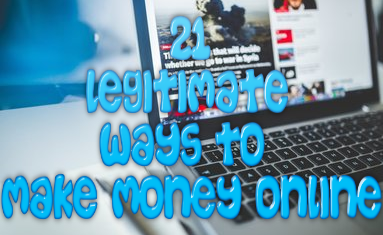 The problem with this website is that while you can easily make as much money as they claim in fake money, you will never actually get paid for your efforts. How Do I Know This Website Is A Scam? There are many different reasons that I know this website is a scam. When you first take your first “survey” you are asked to watch a video and then answer a few questions about it. While that may seem like a survey to you, let’s actually take a look at these videos. All of the videos listed as surveys on this website come from this YouTube Channel. Now you would think that if this were a legit advertising company or legit survey company, there would have more subscribers than 55 and actually have a professional Banner made for their channel. At some point, these videos were all monetized so the creator of this site would earn money by having viewers watch the videos and have ads displayed on the videos. Right now there are no Google AdSense ads on these videos, indicating to me that at some point or another, these videos were flagged and the YouTube account was unable to monetize them. If you take a look on the actual FAQ page of this site, one of the things that you will notice is that it is pumped full of grammatical errors. There are many sentences throughout that just doesn’t make sense! If this were a legit survey company, they would at least take the time to go through their pages and correct all of the grammatical errors throughout. Grammatical errors are usually the first indication of a scam according to Scam Advisor and according to the IC3 website which is a part of the FBI to track online scams. When you go through this site, you will begin to see that it looks identical to other known scam sites like this. The first one that jumped into my head was Survey Major. If you have never heard of Survey major, check it out here. When you place these two website side by side you will see that they are almost 100% identical. The problem is Survey Major is a known scam site where hundreds of affiliate have yet to be paid any of the money they have earned. If Survey Major didn’t pay their affiliates, who is to say that Questofday.com will? If you look at the top of the page for Questofday.com, you will see that the website has claimed to have paid out over $3, 130, 500. However, when doing the math you will easily see that if that number is correct the registered 9,466 users did not make anywhere near the $1137 as claimed in the latest news box. Again, I knew this website was a scam the moment I laid eyes on it. It looks too similar to Survey Major and since I have received complaints from numerous people about that one in regards to not getting paid, I know that Questofday.com will be the same. From the dozens of grammatical errors littered throughout the site to the actual surveys themselves, this site just screams scam. If I were you I would just stay away from it and save my time and energy. Devote yourself to a program that will actually pay you instead of one that will scam you in the long run. Have you fallen prey to the Questofday.com scam? If so, I would love to hear from you! Just drop me a comment below! ← News-Person.com Review: Another Scam To Watch Out For! News-General.com: Is This Another News Scam? Thanks for this review. I have been taking surveys on questofday for 2 months. I have over $1500 in my account. After the first week me and several of the people I referred went to log in to the sight and the sight was not on line. I waited about 3 days then went back and tried to reach the sight again and it was there so I started watch videos again. I first asked for payout at $700 and a message appeared on the screen that I had to wait 14 days. It also stated that if I referred 5 people immediately that I would get the payout immediately. I had already referred several people but it only showed I referred one. I waited the 14 days and still no payout. I have sent emails but I am getting no response… It is now over 2 months and still no payout and I am still getting the same message and no response to the emails sent over 2 months. SCAM!!!!!!!!!! !